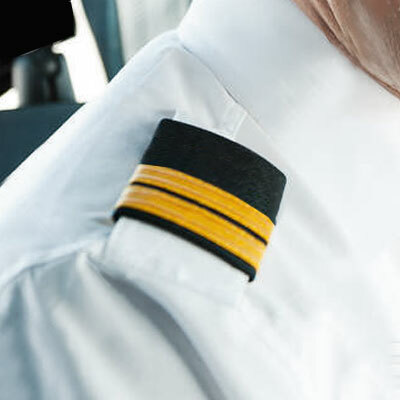 The Airline First Officer Programme (AFOP) is one of Europe’s most successful and exclusive integrated training routes for aspiring Airline Pilots. It is aimed at candidates who have little or no previous flying experience, and offers all the training required up to Airline-entry level. On completion of the AFOP you will obtain the highest level of aircraft pilot certification: an Airline Transport Pilot Licence (ATPL). In addition to the official syllabus, the AFOP equips you with additional airline training modules such as CRM, Flight Deck Management and Threat & Error Management amongst others, delivered by our highly experienced and professional team of ground and flying instructors. Through FTE’s AFOP you will not only be prepared for your first airline position but will also be trained to become a future captain. This approach is incorporated into every aspect of our training – from the first day in Ground School to the last day in the Jet simulator – providing you with a unique skillset which is highly regarded by the recruitment managers of the leading airlines. The journey to becoming a professional airline pilot at FTEJerez is not just about flying. The features listed below are some reasons why FTE’s AFOP is widely regarded as one of the most unique pilot training courses in the industry. With over 30 years in the industry and more than 2,000 pilots flying around the world, the AFOP syllabus is backed by our wealth of knowledge and experience in the flight training arena. Our unrivalled location in Jerez, Southern Spain, offers approximately 300 days of sunshine per year and allows for all flying to be done in EASA airspace and using nearby international airports such as Jerez, Malaga, Seville and Faro amongst others. All training and accommodation services are delivered from a purpose-built campus, allowing you to concentrate solely on your training from day 1 up to your graduation. Discover more about The FTECampus here. The numbers of cadets per course is well below industry norms, and our student/instructor ratio is unrivalled. This enables FTEJerez to deliver unparalleled personal attention to the individual needs of each student. 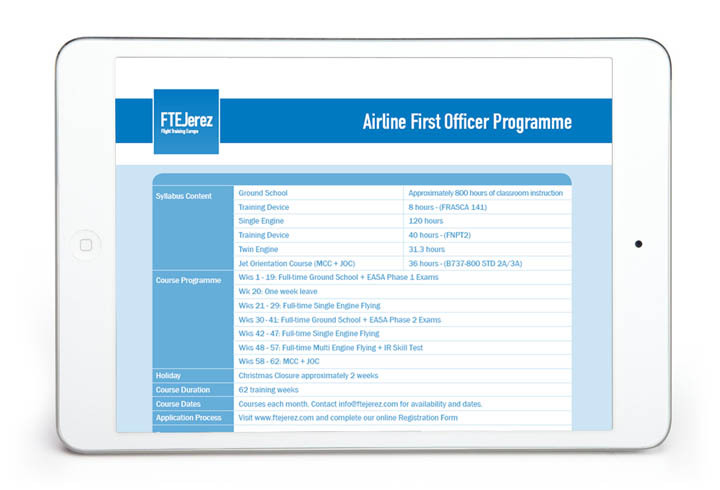 FTE’s airline partners choose the AFOP syllabus and methodology as the ideal training route for their sponsored and mentored cadets. Both airline cadets and self-sponsored students train and live together on the FTECampus, maximising your exposure to the airline recruiters and assuring that the quality of training you are receiving is to the exact standard the airlines demand. At FTEJerez, placing students with an airline is a priority. That is why you will have all the support you need to prepare yourself for the position of a First Officer. In addition, an integral part of our senior management’s daily interaction with our many airline partners, is to optimise our graduates’ airline placement. FTE’s policy is a simple one: Once you graduate you remain an FTEJerez student until we assist you in landing that all-important first job. Only those applicants who pass FTE’s rigorous assessment and selection process (you can find further information about the assessment below) are offered a training place at the school. 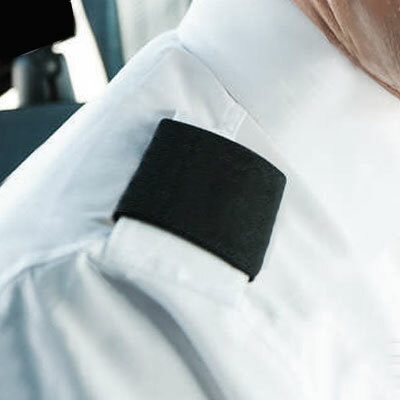 This process has been developed in order to discover airline captaincy potential in our candidates and is, in effect, your first step to the flight deck. Our in-depth knowledge of the industry has been incorporated to the AFOP syllabus by means of up-to-the-minute modules that prepare you step by step for the job market. You will obtain instruction on CV writing and interview techniques. This is particularly relevant as a number of our airline partners visit the FTECampus at regular intervals to assess/recruit our AFOP students whilst still in training. Once you are called forward for the airline assessment, we offer additional preparatory training on our B737-800 simulator prior to your interview with the airline. FTE’s Career Department will closely monitor your progress throughout the course in order to identify your key abilities. This allows us to create airline specific talent pools from which our airline partners can recruit AFOP graduates as and when they need. In addition, once you approach the end of your course, you will be offered a personal mentor that will provide you with advice and support. The mentor is an FTEJerez graduate that is currently flying with an airline and who is happy to help out a younger generation of pilots to find their first job. The high quality training at FTEJerez is well recognised throughout the industry, and consequently the strong airline connections mean that they are able to recommend graduates to some fantastic jobs. They were really supportive and offered great feedback, especially in tailoring my CV towards the airlines." FTE’s friendly campus environment positive atmosphere is essential to achieve a good training standard. Having your bedroom only a few meters away from the training and leisure facilities, with your room serviced weekly and all meals served at the canteen, reduces wasted time and energy, enhancing your training performance. Moreover, with all students in one location, you always have a colleague or instructor available to help during your studies and sort out any queries promptly." The AFOP is an all-inclusive course. No additional fees apply to our course price. FTEJerez understands that funding a pilot training course can be a complex process to follow. To this end we have established finance packages for pilot training that have a number of advantages. They are currently available for candidates who reside in Spain and the terms & conditions can be downloaded by clicking on the icons. Please note that BBVA pilot loans are no longer available for UK residents as from 10 November 2017. Are you a talented and motivated person with a passion for aviation? Minimum of 17½ years at the moment of applying. Minimum of a grade C at GCSE level in English, Maths and Physics (or equivalent). Two A-Levels at grades C or above (or equivalent i.e. Baccalaureate, Bachillerato, Highers, Leaving Certs., Maturitá…). A University Degree (or Higher Degree) at 2:2 or above. Fluent in English (The AFOP is an intensive training course that is conducted in English). In good health and able to achieve the standard required for the EASA Class 1 medical examination. Only those applicants who pass FTE’s rigorous assessment and selection process are offered a training place at the school. 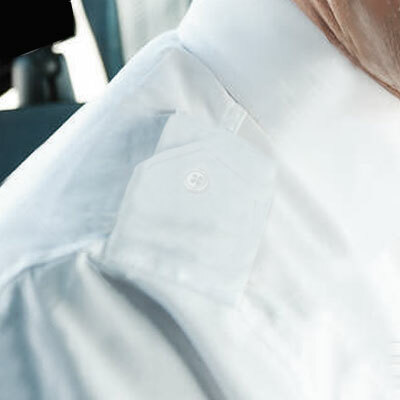 This process has been developed in order to discover airline captaincy potential in our candidates and is, in effect, your first step to the flight deck. If a career as a pilot is really for you. If you have the right aptitude to succeed during your training. What job opportunities could be available for you once you graduate from FTEJerez. During your assessments you will experience what life as an FTEJerez cadet is all about and as part of the scheduled activities you will have the opportunity to try your hand on our B737-800 Simulator. 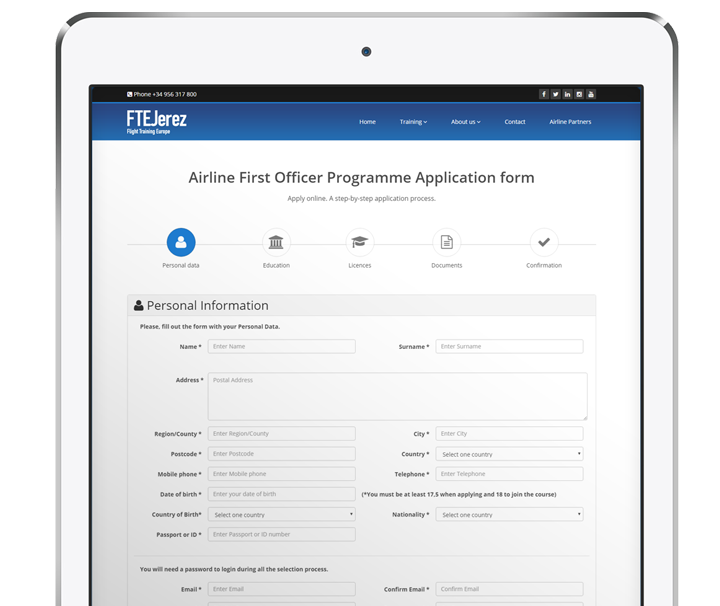 If you are interested in applying for the AFOP (Airline First Officer Programme) and attending an FTEAssessment, fill out the following Application Form. If you would like to speak to one of our Training Advisors or Assessment Officers, please contact us via e-mail at info@ftejerez.com. Interested in adding an official BSc in Pilot Studies Degree to your ATPL licence?